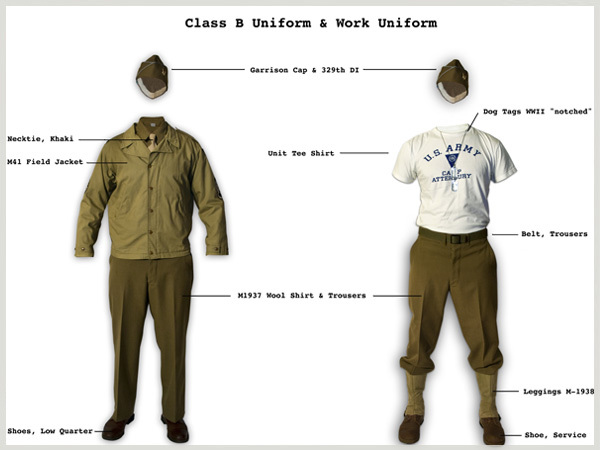 Note: The Boot, Serivice, Combat M-1943 ("Double Buckle") can also be purchased, however one of the two above types MUST be acquired first as a part of the basic uniform. Dubbing or water proofing is not required, but recommended. - Socks should be OD wool US Army issue and/or Red Cross issue socks. 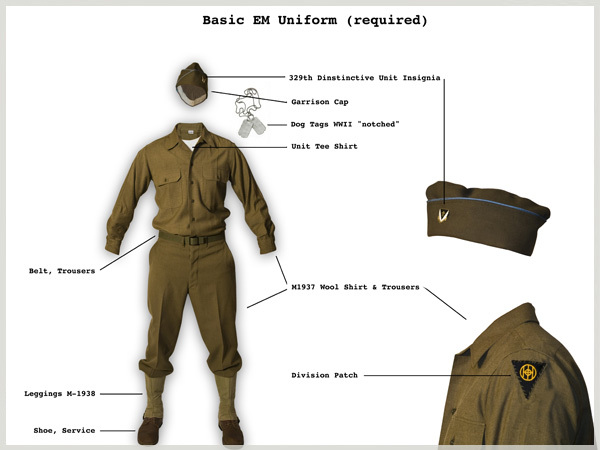 With the addition of the basic EM uniform the following items must be added to achieve a class B uniform. It is highly recommended that you obtain these items.